Greenland is getting closer to breaking China’s near-monopoly on supplying the world with raw materials used in smartphones and wind turbines. 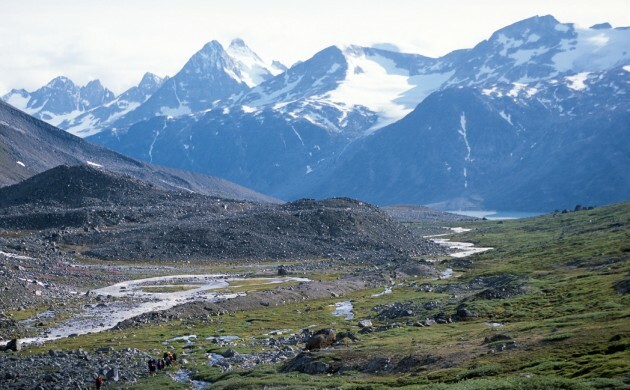 A mining company that has for years been exploring the Kuannersuit (Kvanefjeld) rare-earth mine in southern Greenland will soon be able to apply for a licence to begin operations. Greenland Minerals and Energy (GME) started exploration work in the mineral-rich site in 2007 and found deposits of at least 15 rare earth metals that are essential for modern technologies. According to GME’s geologists, the incidence of these metals in the site is large enough to cover about 25 percent of the world market’s needs for generations to come. Today, rare earth metals are mainly mined in China, which supplies about 80 percent of the world market, while some 200 mining projects are underway elsewhere around the world. However, in order to extract the rare earth ores from Kvanefjeld, GME will also have to mine uranium and locals are worried the radioactive metal could contaminate the surrounding land. In 2013, Greenland’s Parliament overturned a ban on uranium mining, but GME must prove the mine is safe and also profitable. “Uranium gets politicised and it catches the attention of the NGOs. That’s why it’s assumed to play an important role in whether the project gets off the ground,” John Mair, the executive director of GME, told Arctic Journal. GME believes it will get the necessary permits in place by 2018 and start drilling in 2020. The company estimates it could produce 3 million tonnes of rare earth metals annually.